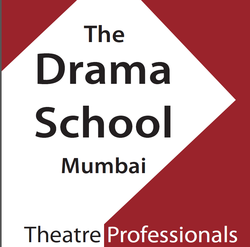 In July 2013, Theatre Professionals founded The Drama School, Mumbai. A school in the heart of South Mumbai, its two-fold aim: to forge a new generation of theatre makers; individuals who see themselves as actor-creator-entrepreneurs, who will go on in their careers to perform, create and produce work to a new standard of storytelling, and to promote the awareness of theatre and its processes to a wider audience interested in exploring and understanding the medium for themselves. The Drama School, Mumbai was born out of an urgent need. At a time formal contemporary training in the craft of theatre in India is sorely lacking, and opportunities to go abroad to other centres of dramatic excellence is out of reach for many. Fortunately, we are now at a time where a critical mass of highly-accomplished, highly-trained drama instructors (all of whom actively and regularly perform as well) are located in Mumbai, and jointly are ready and excited to come together as the faculty to make this programme a reality. DSM lives up to its motto of 'Forging the next generation of Theatremakers' by being the only place in India where one can find a post-graduate certificate course in acting, theatre-making and theatre entrepreneurship in India. Currently, DSM offers a One Year Full-Time Certificate Course in Acting and Theatre-making (OYCC), numerous monthly workshops, and the India Theatre Programme (ITP) residency at Adishakti. Future plans include the one-year course growing into a two-year programme, developing long term part-time evening courses, building festivals and other activities that promote the programmes offered by DSM, and gaining university or tertiary institute certification from a competent certifying body. The Program Co-ordinator will work to support the Programme Head on all activities of DSM - the full-time theatre training course. short workshop programmes and all other outreach activities. The Project Co-ordinator would be stationed at the office of Theatre Professionals at Mumbai Marathi Sahitya Sangh, Girgaum (MMSS). The candidate should be proficient in working with Word, Spreadsheets, PowerPoint and Google documents/ Drive. The candidate should be punctual, proactive and be able to multi-task. The candidate should be able to understand Marathi in order to liaise with the officials of MMSS as and should also be able to converse in Hindi and English. Spoken knowledge of Marathi is advantageous. Previous experience in project management/ administration would be advantageous. INR 15,000-20,000 per month. This is dependent on experience, background and demonstrated commitment. Till position is filled. The job will start no later than June 1, 2016.